Black Widow Spider Bite may occur following contact with a black widow, generally when they are inadvertently disturbed. What is Black Widow Spider Bite? What are the Causes of Black Widow Spider Bite? What are the Signs and Symptoms of Black Widow Spider Bite? How is First Aid administered for Black Widow Spider Bite? At the healthcare facility: Anti-venom serum is seen to be effective, when there is severe pain that does not get better with the above measures, or when there is a risk of life-threatening complications, and to decrease the need for hospitalization. 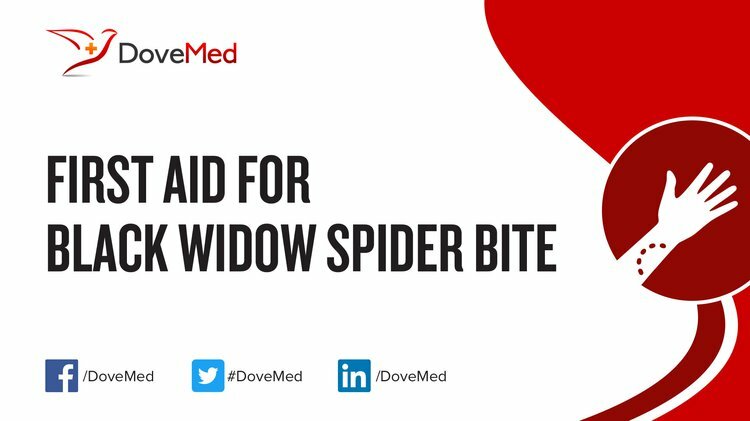 Who should administer First Aid for Black Widow Spider Bite? What is the Prognosis of Black Widow Spider Bite? How can Black Widow Spider Bite be Prevented? Borek, H. A., & Charlton, N. P. (2012). Black Widow Spider Bite. Dimensions of Critical Care Nursing, 31(2), 128-129. Booze, L. (2012). Black Widow Spider Bites. Am J Emerg Med, 30, 836. Garb, J. E., & Hayashi, C. Y. (2013). Molecular evolution of α-latrotoxin, the exceptionally potent vertebrate neurotoxin in black widow spider venom. Molecular biology and evolution, 30(5), 999-1014. Offerman, S. R., Daubert, G. P., & Clark, R. F. (2011). The treatment of black widow spider envenomation with antivenin Latrodectus mactans: a case series. The Permanente Journal, 15(3), 76. Haney, R. A., Ayoub, N. A., Clarke, T. H., Hayashi, C. Y., & Garb, J. E. (2014). Dramatic expansion of the black widow toxin arsenal uncovered by multi-tissue transcriptomics and venom proteomics. BMC genomics, 15(1), 366. McCowan, C., & Garb, J. E. (2014). Recruitment and diversification of an ecdysozoan family of neuropeptide hormones for black widow spider venom expression. Gene, 536(2), 366-375. Vetter, R. S., Vincent, L. S., Danielsen, D. W., Reinker, K. I., Clarke, D. E., Itnyre, A. A., ... & Rust, M. K. (2012). The prevalence of brown widow and black widow spiders (Araneae: Theridiidae) in urban southern California. Journal of medical entomology, 49(4), 947-951. Clarke, T. H., Garb, J. E., Hayashi, C. Y., Haney, R. A., Lancaster, A. K., Corbett, S., & Ayoub, N. A. (2014). Multi-tissue transcriptomics of the black widow spider reveals expansions, co-options, and functional processes of the silk gland gene toolkit. BMC genomics, 15(1), 365.